Five years have passed since Best Coast’s debut album, CRAZY FOR YOU, came out and lead singer-songwriter Bethany Cosentino is still bummed out. While nowhere close to approaching a Morrissey-level of depression, Best Coast’s songs are all pretty much about doomed love, unrequited love, broken relationships, and self-doubt. So why the hell do I love Best Coast so much? While the songs are sad, they’re catchy and sung in such a way that they come across as genuine without being embarrassingly earnest. Cosentino exudes so much hutzpah that even though she sounds sad, you feel like she’ll get over it and become a stronger person. Now, don’t for a moment think that Best Coast is break-up music, because that’s not it at all. The songs are usually wistful with a don’t look back in anger kind of mindset. Best Coast is tragic love music that sometimes drifts into upbeat moments in the sun. Though Best Coast wears their California love on their sleeves, this music is the audio equivalent of Seattle or Portland. Dark, gloomy, but also filled with a strange Pacific optimism. I really dig this album cover, but where’s Snacks the Cat? The band’s first album was a blend of early 1960’s girl groups and lo-fi shoegaze. Two years later, Best Coast released THE ONLY PLACE, the troubled second album that every band must struggle through. And while I wouldn’t call THE ONLY PLACE a disaster, I remember finding it a bit of a disappointment. There were a handful of standout songs like Beach Boys-esque title track and the solemn closing track “Up All Night.” But for the most part, THE ONLY PLACE was a bit of a step back for Best Coast. Indulgent and a bit too self-referential, there were songs on that second album that teetered dangerously close to parody (I’m looking at you “Why I Cry”). When CALIFORNIA NIGHTS came out earlier this month, I was looking forward to listening to it but I was cautious about it’s quality. I really wanted CALIFORNIA NIGHTS to be great. I didn’t want CRAZY FOR YOU to be the band’s nadir, and luckily (for everyone) CALIFORNIA NIGHTS is the band’s best album. The band took a little more time recording their third album and it seems to have paid off. The songs are super-catchy like CRAZY FOR YOU but more polished/better produced like on THE ONLY PLACE. The songs are still sad, but they sound so fun. The best example of this is on the track “In My Eyes.” The track is bouncy and upbeat musically while being about the loss of a relationship. “In My Eyes” has a catchy, fun to sing along chorus…that’s absolutely devastating lyrically. I really like doubt-filled “Jealousy” with its classic girl group sha-la-la’s. I also dig the moody title track “California Nights” which continues in the group’s grand tradition of extolling the virtues of the Golden State. The single “Heaven Sent” is the albums happy love song, something the band always tries to sneak onto each record. I’m grateful that its there. Special mention should be made for guitarist Bobb Bruno, who continues to provide interesting, lush guitar riffs for Cosentino’s beautiful grief. Though Cosentino gets the bulk of the praise for Best Coast’s music, Bruno is a key ingredient in what gives the band it’s wonderful happy/sad sound. CALIFORNIA NIGHTS is a great record and is going to be the perfect soundtrack to the summer. 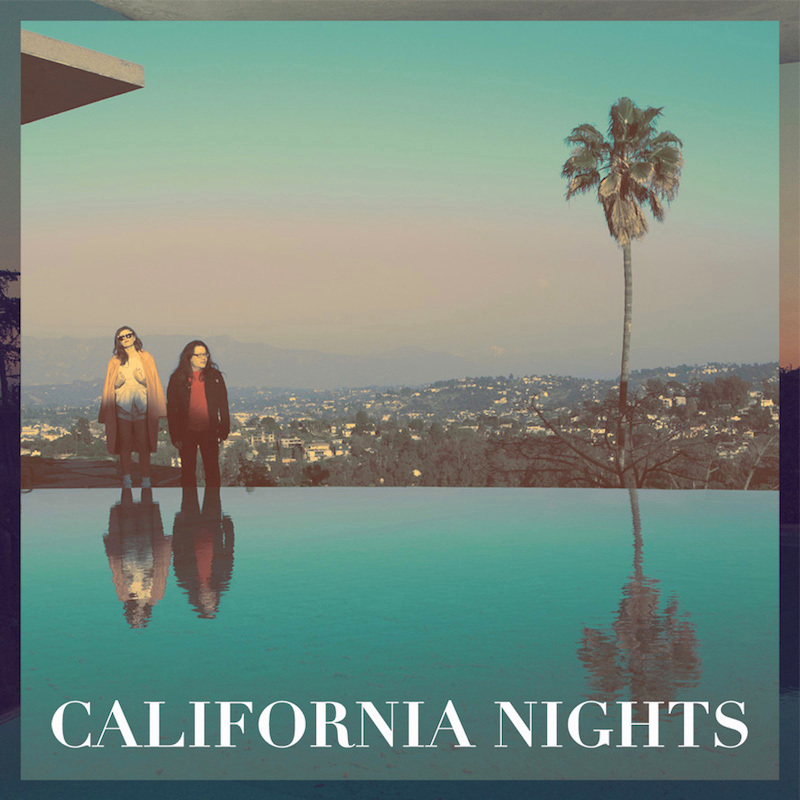 If you haven’t yet dipped your toes into Best Coast, CALIFORNIA NIGHTS is a good place to start. So next month, when you’re hosting your Lonely Hearts BBQ, throw on little CALIFORNIA NIGHTS. Don’t forget the sunscreen. When I was in High School I got into Blues music thanks to one caring English teacher and a bunch of 1960’s blues rockers. I was listening to Cream, Led Zeppelin, The Yardbirds, and Eric Clapton pretty heavily my senior year. Near the end of my last semester, I was assigned a research paper by my honors English teacher. She suggested I write about the blues after she found out I was really into Clapton. This was probably the first time I ever considered writing about music, which looking back on it was pretty big moment for me. Anyway, I went to the library and checked out a couple of dusty tomes on the history of blues music and over the course of writing that paper (which earned me an “A”) I feel in love with the blues. I’ve been hooked ever since. That’s how I first got into BB King. I picked up a copy of his greatest hits and by the time I had successfully digested that, his album with Eric Clapton, RIDING WITH THE KING, came out. RIDING WITH THE KING is a fantastic record and a brilliant primer for someone just getting into the blues, which was perfect for me. In a few short weeks I knew RIDING WITH THE KING top to bottom, I must have played it a hundred times. BB King, who was pretty much always touring, was scheduled to play in Kansas City (where I was living at the time) and I knew I had to go. My dad and my sisters came with me, and it was a concert I’ll never forget. It was a drizzly evening and unfortunately the show was outside. The seats were wet but it luckily didn’t rain on us too much while we waited for the show to begin. 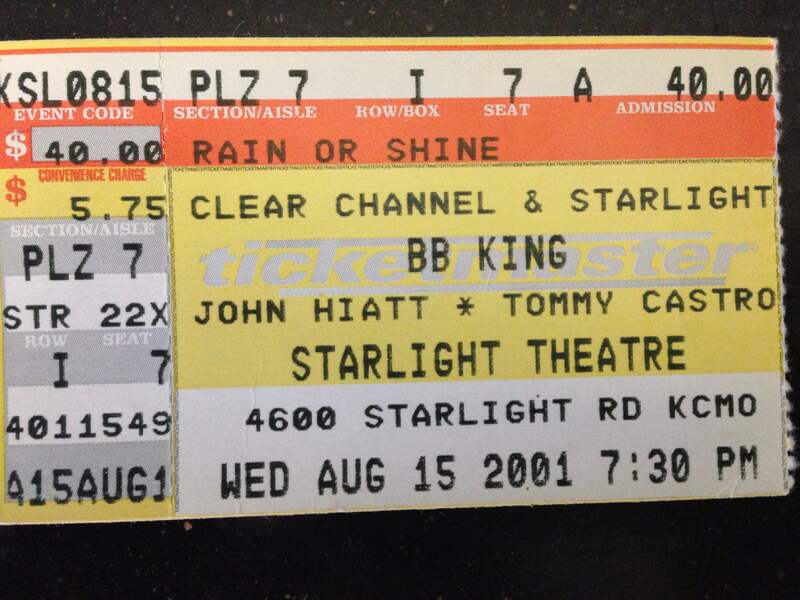 John Haitt opened for BB King, he was promoting his album THE TIKI BAR IS OPEN, and we were all impressed with him. My sister Amber was particularly smitten with Haitt, which looking back on it is pretty amusing since she was into bands like Hanson and The Backstreet Boys up until that point. Man, what a great show. Thanks for the memories, BB. I remember BB King sitting on a wooden stool during his performance. He balanced Lucille upon his knee, like a grandfather tenderly holding his grandchild. He was old, and clearly not in the best health, but his voice was still strong and his guitar playing was still exceptional. After playing for about an hour, he took a short break then came back and played a few more songs. And then he was done. There was no encore, which I thought was strange, but not unexpected considering BB’s age. Everything about that concert felt historic and important, and I don’t think I’ll ever forget it. I’d read a few weeks ago that BB King was very sick and that he was essentially broke. Initially I was upset to learn that such a respected, successfully musician had no money, but upon further reflection I realized that this cemented BB King’s place in the pantheon of great bluesmen. To die penniless is almost as important as song writing when it comes to the blues. BB King’s health had been poor since I was a child, so the fact that he lived (and played) as long as he did is kind of a miracle. 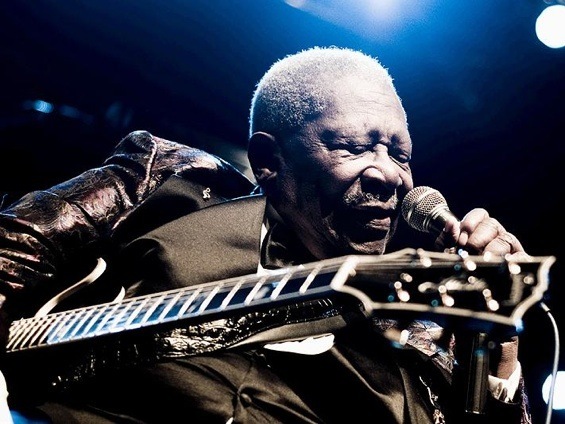 I know that 89 years isn’t nearly long enough, but that’s what we got from BB King and I’m grateful. The topic of BB’s death came up today and someone asked me “why was that guy such a big deal?” I’m paraphrasing, but that was basically the question. I didn’t really have a very good answer at the time, mostly because I’m terrible at thinking, but after giving it some thought I think I know why BB King was so important. 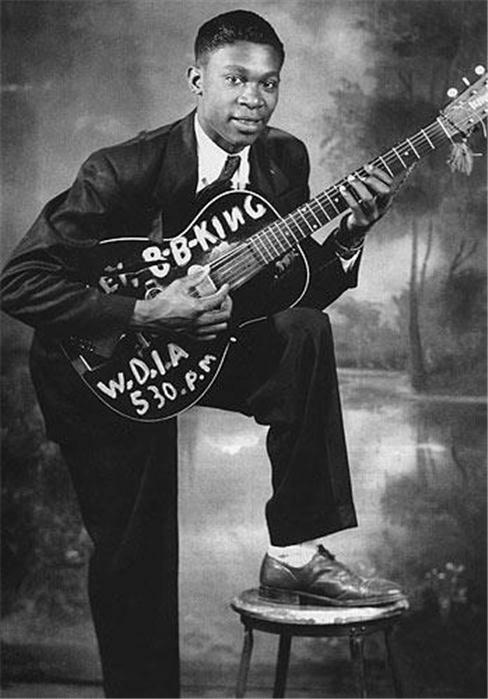 BB King was the most famous blues musician alive. He was an ambassador of an entire genre of music, how many other artists do you know that fit that description? BB King was a mentor to generations of artists and his influence is still felt today in the world of blues and rock music. He transcended age, race, socioeconomic status, everything. Today marks the end of an era, not just the music world but in the popular culture at large. Rest in peace, BB King. There’s a commonly held belief that successful people are all assholes. I’d be lying if I didn’t admit that I judge the guy sitting next to me in traffic in his fancy BMW: man, that guy must be jerk to have so much money. And while the world certainly has no short supply of Gordon Gecko-wannabes climbing the ladder of success by stabbing people in the back, it is possible to be a tremendous success without being a terrible person. Supermensch: The Legend of Shep Gordon is a documentary about a guy who made a lot of people rich and famous—but he did by being nice. 1. What is a “Supermensch”? 2. Who the hell is Shep Gordon? Mensch is a Yiddish word that means “a person of integrity and honor.” A Supermensch is someone with an almost super-human level of goodness. 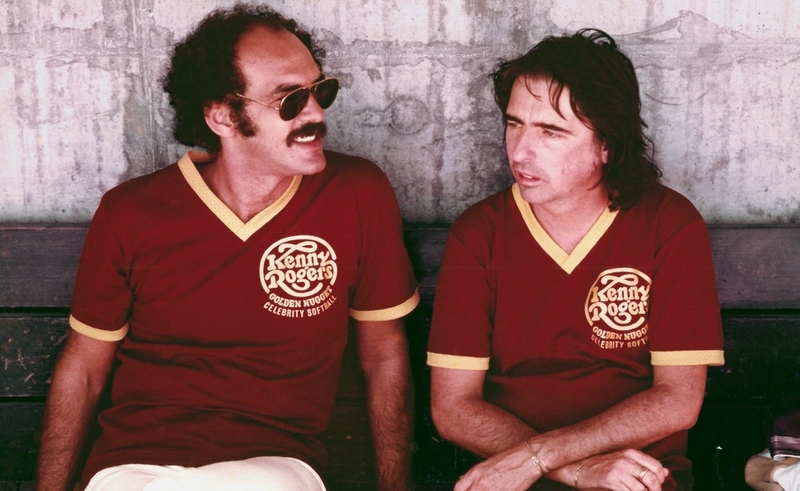 Shep Gordon is a talent manager who rose to fame after moving to California in the late 1960’s and essentially helped break Alice Cooper into the popular consciousness. He also managed to create the celebrity chef, overthrow the unfair practice of not paying black music acts for live appearances/concerts, help start one of the first independent film companies (the first to be headed by a woman), and make friends with the Dalai Lama. The early days of Gordon’s career are probably the most fascinating parts of the documentary. He moves to California to be a parole officer in 1968. After promptly quitting (he was a “longhair” and didn’t fit in) he almost immediately meets Janis Joplin and Jimi Hendrix. It was Hendrix who suggests that Gordon become a manager (for no reason other than the fact that Shep’s Jewish). He becomes a drug dealer to the some of the 1960’s most famous musical acts before opting to leave the danger behind and manage Alice Cooper. The philosophy Gordon employed to make Alice Cooper a household name is both genius and a bit nuts. Gordon cultivated negative press for the band. Why would he do that? Well, Gordon knew that if he could make parents hate Alice Cooper the kids listening to rock music would love Alice Cooper. From rigging a mobile billboard to “breakdown” in the middle of London’s busiest intersection at rush hour, to tossing a live chicken on stage (RIP that chicken)—Gordon learned to become a master manipulator. Soon parents were up in arms over Alice Cooper, and Gordon was laughing all the way to the bank. Turns out the story behind the rise of Alice Cooper is full of really funny stories. I think the best early Alice Cooper story was the time a promoter wanted a female folk act and booked Alice Cooper. Ever the savvy businessman, Gordon went along with the mistake! I think I’d pay almost anything to see the look on those peaceful hippie faces when the freakish Alice Cooper took the stage at that concert. Once the Alice Cooper band took off, Gordon had to fight Frank Zappa (of all people) to get their first album out. All of this Alice Cooper stuff is really interesting, and I kinda wish the documentary was just about those early days. Once Alice Cooper gains infamy and riches, Gordon tries his hand at managing other acts. Supermensch delves into Gordon’s relationship with R&B legend Teddy Pendergrass and how he helped the world’s best chefs become overnight millionaires by hawking spices and Tupperware. Gordon’s had an impressive run and it’s interesting to learn that the guy who helped invent Alice Cooper also “invented” Emeril Lagasse. He uses the same nice guy tactics to make everyone he touches into success. What’s so menschy about Gordon? His business philosophy seems to be that everyone should walk away from the table a winner. He does whatever it takes to promote his artists, but always in an honorable way (unless you are a chicken). A good example is the motel rooms used by the fledgling Alice Cooper band. In the early days, the band was trying to relocate from LA to Detroit and on the way the band played concerts. Because they were unknowns, the band had no money for motels, so Gordon paid with bad checks. As soon as the band took off and made money, Gordon went back and re-paid all the motels they’d screwed over. I was surprised to learn that Supermensch was directed by Mike Myers. Yes, that Mike Myers. The SNL alumni fell on hard times after his film The Love Guru tanked at the box office and in a deep depression, the comedian ended up spending two months at Gordon’s house in Hawaii. So while I think Shep Gordon is probably a genuinely nice guy…I do think the film veers a bit too far into hero worship. There’s some dark stuff in the film, but it’s largely glossed over. That’s a bit disappointing, but makes sense when you learn that the man behind the camera probably owes his sanity (maybe even his life) to the film’s subject. Overall, Supermensch: The Legend of Shep Gordon is a fascinating glimpse into the behind-the-scenes of the entertainment industry and a great way to kill an hour and thirty minutes. Supermensch is currently streaming on Netflix and is available on iTunes. New York bad boys Wyldlife make down and dirty rock ‘n roll, a commodity in short supply these days. Imagine the swagger of The Ramones smeared with the blood of Iggy Pop–that’s Wyldlife. The band has a primeval rock sound that I thought was dead until I stumbled upon their 2013 album THE TIME HAS COME TO ROCK & ROLL. I’ll never forget that first listen, I thought somebody had slipped something into my drink. Or that I’d died and gone to world where rock hadn’t died/gone underground. What impressed me the most about THE TIME HAS COME TO ROCK & ROLL was that it didn’t feel like just another nostalgic rehash. 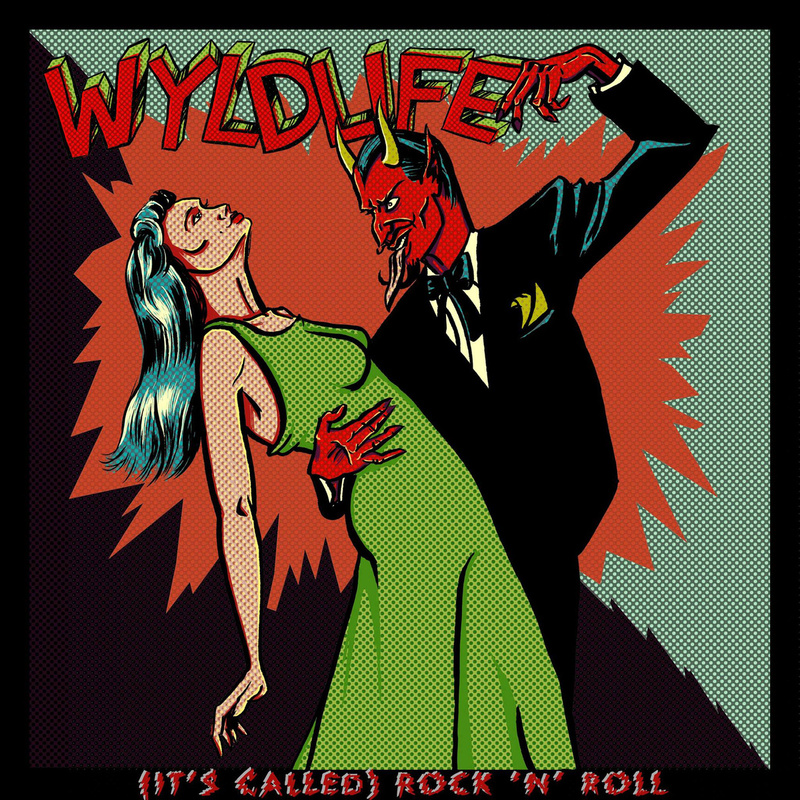 Wyldlife don’t reheat classic rock and try to pass it off as their own thing, instead the band is a real contributor to the modern rock scene. Their songs are well written and infectious, their singer possesses a brash confidence that charms and disarms…in short, they’re the real deal. So you can imagine why I was super-stoked when I found out this week that the band has just released two brand-spanking new songs: “(It’s Called) Rock ‘n’ Roll” and “Rock Candy.” I sincerely hope that these songs are only the opening salvo of their next mind-blowing opus of awesomely sleazy rock. “(It’s Called) Rock ‘n’ Roll” is your classic tribute to good times and good tunes. The song is a musical manifesto extolling the virtues of rock music. It’s basically like The Ramones covering AC/DC. This is raise your lighter kind of music and I love it. “Rock Candy” is (shockingly) not about candy, but in fact a girl. This song has a super-sweet hook, this track straddles the line between rock and pop—again I love it. The quality of these songs is just as high as the bar the band set on their last album, which fills me with so much hope for the band’s next album. I highly recommend you check out both of these songs. Then go listen to the first two Wyldlife albums, because they are excellent. About a month ago I posted an article about another really great New York garage band, The Star Spangles. If you enjoyed The Star Spangles you owe it to yourself to check out Wyldlife. While not as punk-influenced as The Star Spangles, Wyldlife possess the same in-your-face brashness and youthful spirit that many bands today are sorely lacking. Plus, they can write one helluva a song…but don’t take my word for it.